+ The Hidden Meaning of Spike's Name: Here we delve a little deeper into the possible meanings of Spike's surname, Spiegel, and how it relates to the broader themes in the series. + Lunkhead and Psycho: A study of Spike and Vincent, the alpha villain in the CB movie, Knockin' on Heaven's Door, that helps shed light on both. 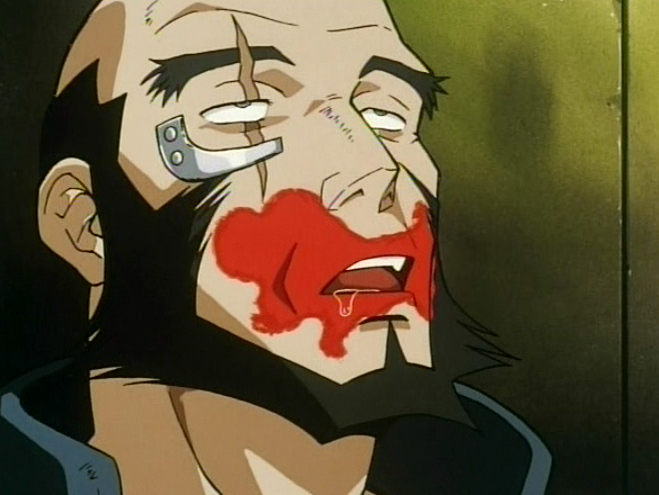 + The Most Important Word in Cowboy Bebop: This essay contemplates the key takeaways of the CB series. + Honesty and Openness: A character study of Gren that reveals some surprising aspects about our favourite hermaphrodite. + There's Something About Blue: A deep dive into the visuals of CB and how the use of certain colours in different flashbacks may mean more than meets the eye. + The "Chi", "Ka", "Fui", "Sui", "Kuu" of Cowboy Bebop by Ephemeral Dreamer: This essay explores the five classical Japanese elements of nature embodied by the Bebop crew. + Decoding the Real and Fake Eye by Emily Ravenwood: Throughout the series, eyes are often employed to link the past with the present. Spike's fragmented sense of reality seems to be tied to the burden of his fake eye. Yet which exactly is Spike's fake eye? Emily Ravenwood makes her case. + Linear Notes by Amadeus: The Bebop crew finds themselves short on fuel and food in Mushroom Samba. Hilarity ensues, involving much mayhem and mushrooms. 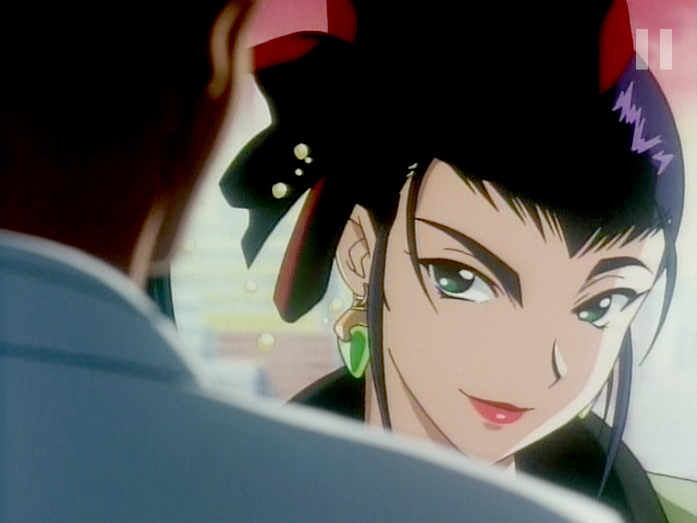 In this guest essay, Amadeus takes a closer look at Spike's, Jet's, and Faye's hallucinations and their meaning within the greater Cowboy Bebop framework. + Cowboy Bebop FAQ answered by Aaron M.K. : From Annie and Spike's relationship to Vicious's coded orders, Aaron gives his take on the plethora of oddities within the series. 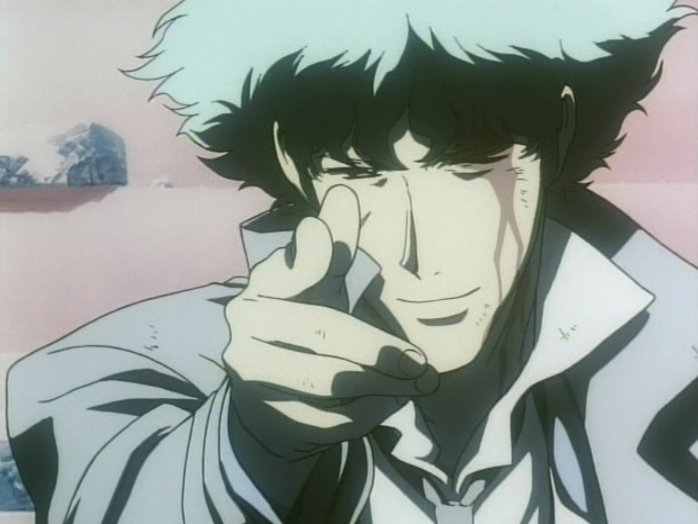 Have something to say about Cowboy Bebop? Submit an essay here. There are no requirements on essay length; it should just be as long as it takes to get your point across. If you'd like to quote the guest writers or refer to their essay content in any way, please be sure to credit them for it! Thanks.